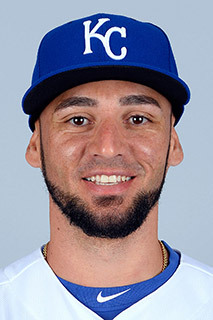 Paulo Orlando tripled, homered and drove in four runs, and Eric Hosmer homered as the Royals beat the Boston Red Sox 8-4, on Tuesday night at Kauffman Stadium. Yordano Ventura went 5.2 innings for the Royals, giving up four runs while walking one and striking out five helping the club get back to .500 at 19-19. Orlando set a major league record last season by hitting five triples in his first seven games. He picked up his first triple last night, had a two-run single in the fourth and a two-run homer in the eighth. He matched his career high for RBIs.